Posted May 22nd, 2018 by alexander.hassoulas@upkeepmedia.com & filed under Uncategorized. For many, buying property continues to be one of the best investment strategies. An investment property helps in wealth creation and financial security among other things. However, there is a common misconception that investing in property always produces positive returns. Although true in many cases, property investing isn’t where you should expect “get-rich-quick” results. Your success will largely depend on how effectively you manage your investment. KC is exciting. The city is home to major league sports, abundant parkland, lively nightlife, excellent barbeque, and gorgeous fountains. Kansas City is growing. The city is growing in just about every way. From the economy to employment to population. Millennials love Kansas City. With millennials making up the largest share of the renting population, KC has the potential to become a millennial boomtown. Housing is insanely affordable. The Midwest region is one of the most affordable places to live in the country. Local industries are booming. Whereas other cities are struggling, Kansas City is flourishing. The city is home to many major tech companies. Does the investment property have the potential to create wealth? Look at factors such as demographics, employment rates, growth trends and vacancy rates. If so many properties are vacant, consider it a red flag. Conversely, if very few properties are vacant, it means that the demand for housing is high. Another red flag would be if a major business in the area is downsizing. Also, consider who the prospective tenants would be. Retirees? Families? Or young professionals? Once you do this, you’ll be able to make the appropriate decision. This analysis will help you determine the prevailing rent price. By doing this, you’ll be able to decide whether the potential is real. The analysis will also help you know the occupancy rate for that particular property type. If the demand is good and the rent is competitive, go for it. However, if none is satisfactory, walk away. A home inspection is an all-encompassing examination of the home’s condition. It’s an inexpensive way to gauge the home’s universal condition. It pays to enlist professional services. A qualified home inspector can save you lots of stress down the road. 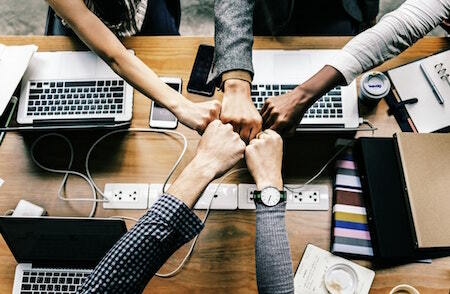 To be successful in the real estate business, you need a professional team by your side. The team should include a real estate agent, an appraiser, a lawyer, and a reliable lender. 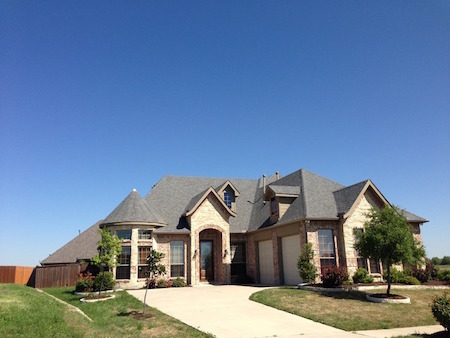 The agent should be well versed in all matters regarding property matters in Kansas City. The appraiser should be someone you can count on when it comes to property appraisals. The lawyer should be knowledgeable about real estate laws in the city, and the lender should be reliable and trustworthy. In addition, you will also need a team of contractors as well. This will be the team you will turn to for regular repairs and maintenance on your property. Better still; hire a competent Kansas City-based property management company. The following are some services you should expect from them. When buying an investment property in Kansas City, you need to consider all the expenses. If you are just starting out, it’s highly recommended you hire a qualified property manager. Look for a property manager who is organized, detail-oriented, and passionate about real estate investing. The right one will help you realize good cash flow from your investment property. During the interview, make sure to ask them the following questions. How many rental units do you manage? Too many units and you risk getting lost in the shuffle. Too few and chances are they are just starting out or they are inexperienced. What are the various services you offer to your clients? A property management company that can market, lease, and manage day-to-day operations is a good bet. If they don’t manage your particular property type, walk away. Which professional real estate organizations are you affiliated with? If they aren’t affiliated with any professional organization, consider it a red flag. What is your lease renewal rate? A high lease renewal rate means the manager is good at his/her job. On the other hand, a low lease renewal rate means either they are poor at the job or their tenant screening process isn’t detailed enough. If the property manager isn’t offering online rent collection as part of the options, consider it a red flag. How much do your services and fees cost? This will help you avoid surprises. You will be losing potential rental income every day you have a vacancy at your rental property. Fortunately, there are a couple of things you can do to make your property attractive. Know your competition so you can accentuate your property’s positives. Look for properties that are similar in specs, price, and location. Check out local newspapers, real estate office, and sites like Craigslist.com. Makeover with paint. A can of paint goes for about $25. Choosing the right paint is however crucial. Stick to neutral colors, as you want your property to appeal to your target market. Increase the curb appeal at your property. First impressions are lasting. 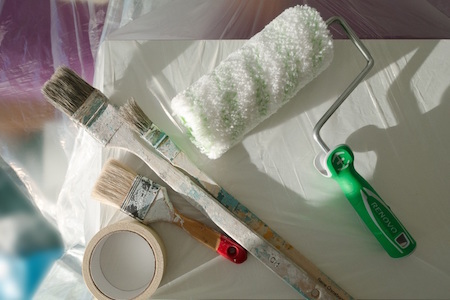 Remove any torn window screens, broken banisters, or chipped paint. Add a few flowers and plants to create a more inviting, lived-in feel if you have a porch or outdoor area. Make sure the lawn and shrubbery are well manicured. Remove any weed, trash or debris. Buying is only one part of investing. The other part involves planning an exit. When strategizing for an exit, consider financing. Depending on the mortgage type, it can make sense to sell in advance. You may also hold on to a property, rent it out and then sell it later to offset renovation costs. Alternatively, you may buy a property in need of repair, restore its lost glory, and then sell it a higher price later. Sometimes, the exit strategy may fail to go your way. That is why it is important to do thorough research beforehand. With a properly done research, you’ll be able to make proper conclusions based on market trends. So assuming the exit strategy fails, you have several options. One, although at a price below the market, you can go to the wholesale option and sell the property to another investor. Two, you might offer a buyer a lease-purchase deal if your property isn’t selling and you are unable to get a good cash flow. Property is still regarded as one of the safest long-term investments when it comes to building a retirement nest egg for the future. However, before taking the plunge into property investment, there are some golden rules to consider. 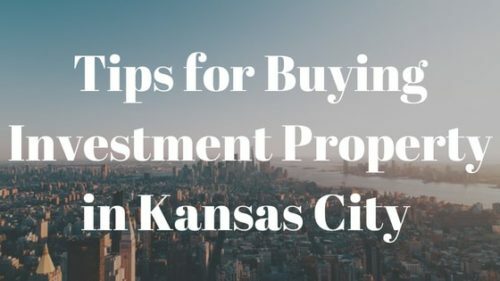 By taking advantage of these eight tips and applying them correctly, you may be able to enjoy a positive cash flow while creating equity in your Kansas City property. Good luck!